Walking through the gates of Magic Kingdom at Walt Disney World is like entering a portal to a storybook land where all of your childhood dreams can come true. Forced perspective makes the iconic Cinderella Castle rise above you, and appear much taller than it really is. Immaculate walkways, perfectly manicured landscape, soft music to soothe your ears, even smells are piped in, transporting you into another time and place. It’s easy to become lost in a truly immersive experience. I created this Magic Kingdom guide to help families get the most out their magical time. You don’t have to be young to enjoy the laughter, learning, and playfulness of Magic Kingdom. You just need to be young at heart. This is a place for entire families – not just children – to visit and enjoy together. That was Walt’s dream. the first 2 weeks of September. 1. Main Street USA – The entrance to the Magic Kingdom park is like something out of early-1900’s America. Frozen in time, this perfectly maintained Victorian neighborhood showcases unique gift shops and a cool candy store where you can watch sweets crafted by hand. Cinderella’s Castle towers over you to the north, as the smell of Main Street Bakery (now a Starbucks!) wafts in the air. Magic Kingdom parades come through here on the trolley line. Though there aren’t any rides here, Main Street USA is the gateway to the rest of the park. 2. 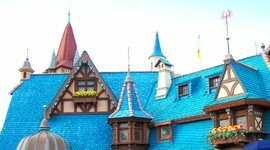 Fantasyland – Fantasyland makes you feel like you’ve stepped into a fairy tale. It’s styled after a medieval town, something out of the make-believe villages of Pinocchio, Belle, and Snow White. And it recently expanded, almost doubling in size to include New Fantasyland, which contains the Enchanted Forest and Storybook Circus. 3. Tomorrowland – It’s the “future that never was.” Originally designed to portray Walt Disney’s view of the future, Tomorrowland now looks like something from a sci-fi book of the 1920’s and 1930’s. There are lots of cool retro-future treasures here, such as metal palm trees that actually react to sunlight! The iconic Space Mountain and new interactive Buzz Lightyear’s Space Ranger Spin are Tomorrowland’s most popular attractions. 4. Adventureland – The first path on your left as you’re walking along Main Street USA will take you into a land of tropical rivers, exotic flowers, and the drumming sounds of the jungle. Welcome to Adventureland at Magic Kingdom! Be sure to visit Pirates of the Caribbean, Splash Mountain, and the Jungle Cruise while you’re here. 5. Frontierland – Frontierland is the westernmost section of the Magic Kingdom park, an appropriate home for the wild, wild west! It’s the Disney-friendly version the American frontier. So hold onto your hats for the wildest ride in the west, Big Thunder Mountain Railroad. Then stop by the Country Bear Jamboree for a Hillbilly music show – a great place to kill time and cool off while you wait for the more popular rides. 6. Liberty Square – This historical section of the park honors the colonial heritage of the United States with the Hall of Presidents and a majestic replica of the Liberty Bell. If you need a breather from exploring the parks, take the Liberty Square Riverboat, a pleasant 17-minute ride on the Rivers of America. Liberty Square is also home to the renowned Haunted Mansion. 1. Big Thunder Mountain Railroad: Frontierland – “This here is the wildest ride in the wilderness!” Big Thunder Mountain Railroad is a fantastically themed roller-coaster ride at Magic Kingdom that will take you from a dark cavern with a waterfall, and then around turns and dips with the American Southwestern in the background. Big Thunder is absolutely gorgeous at night, so be sure to take a ride after the sun goes down for an extra magical experience. 3. 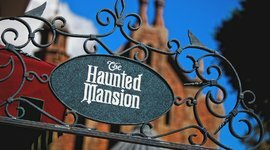 Haunted Mansion: Liberty Square – Even the line here has lots to keep kids entertained, from a tomb that plays musical instruments to a stone bookcase with books that pop out of the wall (kids love trying to push these back in!). Inside the Haunted Mansion at Magic Kingdom, you’re greeted by ghosts and taken to the your “Doom Buggy,” which seems to appear out of nowhere. It’s a slow-moving, smooth ride past a seance scene, and ballroom where ghosts meet up for a swinging wake. For the finale of the ride, watch out for the hitchhiking that ghost appears inside your buggy when you face the mirror. 4. Mickey’s PhilharMagic: Fantasyland – This is an absolute treasure! It’s a cool, multi-sensory 3D movie that takes you inside Disney’s classic films. Wind blows as you fall and water splashes as you dive under the sea, they even spray a hint of perfume (you won’t smell like it) in the Aladdin scene. Don’t forget to turn around and look behind you at the end of the show to see where Donald ends up! Best of all, the line for Mickey’s PhilharMagic is never more than 20 minutes and it’s one of the first rides as you enter Fantasyland. 5. Space Mountain: Tomorrowland – Magic Kingdom’s biggest thrill ride, Space Mountain takes you on a high-speed race through outer space. It’s an indoor rollercoaster in complete darkness. Both magical and futuristic, Disney took care to give you an authentic space flight experience. Astronaut Gordon Cooper joined the Space Mountain creative team as a consultant to lend his expertise, and his input has helped make Space Mountain a favorite for over 35 years. Plan ahead and reserve a fast pass online if you can because the Space Mountain line is almost always long. 6. Buzz Lightyear’s Space Ranger Spin: Tomorrowland – It’s a game and a ride in one. Each vehicle has a central joystick where you can control the spin of your spaceship and two laser cannons to shoot the evil Emperor Zurg. At the end of your mission, you can compare your score against the Space Ranger chart to find your rank. 7. Mad Tea Party: Fantasyland – It’s the Mad hatter’s “un-birthday” party! And you’re invited to spin your way across the floor in oversized teacups. One of Disney World’s classic rides, there’s a version of this attraction in every Disney Park around the world. If you have problems with motion sickness or spinning, you may want to skip this Magic Kingdom ride. 8. Splash Mountain: Frontierland – Prepare to get a little wet, especially if you sit up front. Splash Mountain has audio-animatronics, suspense, thrills, and a happy ending. An eight-passenger log carries you on an calm 11-minute journey along the water. That is until the grand finale when you plunge with Brer Rabbit down five stories into the briar patch. 9. Seven Dwarfs Mine Train: Fantasyland – Inspired by the 1937 classic animated film, “Snow White and the Seven Dwarfs,” the Seven Dwarfs Mine Train is a rollercoaster that responds to every twist and turn of the track due to a first-of-its kind ride system where the ride vehicles swing from side to side. The midpoint of the attraction takes you into a mine, aglow with gems and scenes of the Dwarfs working. The line for this one is always very long. Be sure to reserve your fastpass plus in advance. 1. Festival of Fantasy – Once daily at 3 pm you can catch this incredible parade with its innovative floats and characters in vibrant costumes. There are more than 100 live performers that accompany the floats based on The Little Mermaid, Brave, Tangled, Peter Pan, Sleeping Beauty, and other princesses. The finale is Mickey and Minnie in an air ship! 2. Main Street Electrical Parade – The Main Street Electrical Parade is a nighttime experience of glowing, gliding, and spinning floats filled with Disney characters and dancers. Half a million shimmering lights are carefully synchronized to unforgettable music and sound. Shows are 20 minutes long, and are sure to delight the entire family. Showtimes will vary and you will want to stake out your position 30-45 minutes before the events begin. 1. Quick-Service – These easy, cafeteria-style dining halls are the fastest and cheapest way to get a quick lunch. Quick-Service restaurants offer soups, sandwiches, salads, pastas, etc. 2. Table-Service – It’s Disney’s version of sit down dining. The menu is usually better and the ambience a little classier. Plus Disney service is pretty much always excellent! Inside Magic Kingdom, everything is casual and of course, super family friendly. Reservations are not required but are strongly recommended. You’ll want to make arrangements as far as 180 days in advance for best availability. 3. 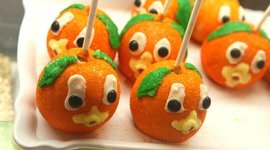 Snacks & Treats – Walking around Magic Kingdom can really work up your appetite! When you don’t want to stop for a whole meal, there are literally hundreds of delicious snack shacks and stands to help boost your energy with Mickey shaped ice cream bars, pastries, and more. 4. Character Dining – During Character meals, the characters make their way around the dining room and stop at each table. This style of dining is so popular, you can eat breakfast, lunch, and dinner with the characters. Make sure you reserve far in advance. 1. Blue Fairy Wish Book – Tucked away inside Pinocchio’s Village Haus, you can find a wish book where you can write down your wishes for the Blue Fairy. 2. Get a Free Button – Make sure to let a cast member know if you’re celebrating a first visit, anniversary, or any special occasion! They’ll give you a free button that you can wear proudly around the park. You never know what special greeting or surprise may come just by wearing this button. 3. 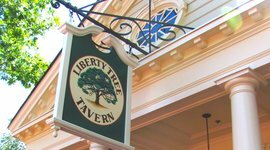 Liberty Tree Lanterns – Inside Liberty Square, you’ll find the Liberty Tree, which is a giant Southern Live Oak. The 13 lanterns hanging from it represent each of the 13 colonies. 4. Hidden Mickeys – Throughout Magic Kingdom you’ll find hundreds of hidden Mickeys. There are books available in the Emporium that will help you find them all. 5. Flag Retreat Ceremony – Each day at 5 pm, a Flag Retreat ceremony takes place that includes the Dapper Dans, the Main Street Marching Band, and an honorary veteran of the day. This randomly chosen Magic Kingdom guest is presented the flag and given an official certificate and pin. It’s tough to get through this ceremony without shedding a tear. 6. You Can’t Buy Gum – Chewing gum is not available for purchase at the Magic Kingdom or any Disney theme park. This is in an effort to help keep the park clean. Look at the streets of Disney and compare with a local outdoor mall and you’ll see the difference! 7. 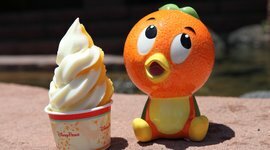 You Can Bring Food and Drinks – You’re allowed to bring food and drinks into the Magic Kingdom. This can really help you save money on meals. No hard sided coolers or alcohol is allowed. Krista Joy was born and raised in the heart of Orlando – where she still lives. 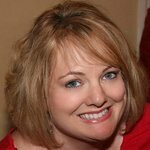 Aside from visiting Disney World almost every week, she runs a regular podcast, LivingTheDreamPodcast.com and a website filled with advice on all things Disney, Disneyways.com. It's a picture perfect street out of early-1900's America, and the perfect gateway to the rest of Magic Kingdom. 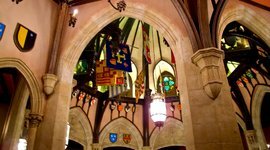 As you pass through the tunnel under Cinderella's castle you enter a medieval village out of fairytale, home to Pinocchio, Belle, and Snow White. It's like something out of a sci-fi comic from the 1920's and 1930's. Alien palm trees made of metal line the streets in front of the howling halls of Space Mountain. Drum beats, jungles, and tropical rivers put you in a land of pirates and daring adventurers. If Disney had settled the wild west, this is what it would look like. It's home to a raucous Hillbilly bear show and the thrilling Big Thunder Mountain Railroad. Step back into 1776, in this majestic recreation of colonial USA. Check out the Liberty Bell, take a riverboat ride, and meet all 43 US Presidents. Fly through the canyons of the American Southwest on a roller coaster ride. This 8-minute ride takes you through pirate battles and the adventures of Jack Sparrow. It's great for all ages, but really young kids might get scared. Restless ghosts party in the halls of this haunted mansion. It's a delightfully scary ride for all ages. Kids will even love playing with the cooky attractions in the line. It's one of the best attractions with the shortest wait. You venture inside a Disney movie, and wind hits you as fall, water splashes you, and you even get a whiff of perfume in Aladdin. This coaster dips and dives, howling through the darkness of space. It's magical, futuristic, and very popular. So be sure to reserve your fastpass+ ahead of time. You control the spin and blasters on Buzz Lightyear's spaceship. Aim for the evil Emperor Zurg and score points. You may just get the high score. It starts as a calm river ride with animatronic animals, and ends with a huge drop down a waterfall. Sit up front if you want to get wet. The roller coaster car swings around turns and takes you into the workplace of the 7 Dwarfs. Make sure to reserve fastpass+ for this popular ride. Grab burgers, fries, and taco salads at this counter service restaurant in Frontierland. 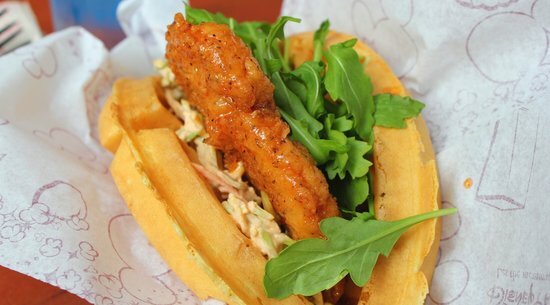 Disney's newest restaurant is open for lunch and dinner. They serve delicious French food in the banquet hall of Sebastian's (the Beast's) castle. Disney's manliest restaurant features giant pork shanks, BBQ, and burly cinnamon rolls. They also have a kid version of beer called LeFou's Brew. 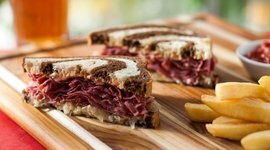 Hearty Reubens, sandwiches, and burgers make up the menu at this old-fashioned American restaurant in Main Street USA. It's the Italian restaurant where the Lady and the Trap ate from the same plate. They serve pasta, pizza, and Italian classics. Sit down for a family-style Thanksgiving feast, any time of year. Enjoy New England food too in an elegant dining hall from the time of our founding fathers. This tiki hut serves frozen slushies, juice, and cookies, perfect for a hot day in Magic Kingdom. Even in the future, the classic sundae reigns supreme. 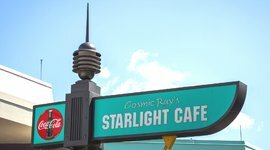 Stop by for a cold ice cream or soda float in Tomorrowland. This beautiful glass atrium is open for breakfast, lunch, and dinner, and host to daily meet and greets. Inside Cinderella's Castle, this royal banquet hall has food fit for a princess with a refined palate. Make sure to reserve far ahead of time! Can you find this secret book of wishes? In the big tree in liberty square you can find 13 lanterns representing the 13 colonies. Come by in the evening and watch them glow. It's hard not to get a tear at this touching ceremony. Every day at 5 pm, the marching band plays and a random guest is presented with the flag. One of the park's most popular parades, Festival of Fantasy is a celebration of all the amazing characters that make Disney what it is. Every night, thousands of lights decorate Disney floats at this Magic Kingdom parade. They have your regular burger and fries, but the real star of the show here is their perfectly cooked rotisserie chicken and healthy Greek salad.